The Wonderbag is a heat-retention cooking bag in which anything can be cooked - from meaty stews and vegetable curries to soup, rice and other staples. As it is made from insulated materials, it allows food that has already been brought to the boil to carry on cooking without further energy use. Families can start their cooking on a stove as normal and then transfer their pot of food to the cooking bag. It also means less time spent tending to cooking, as once the meal is in the bag, it can simply be left to stand until it is ready. 150 000 of these Wonderbags are already in use across South Africa - a number that is estimated to escalate fifty-fold over the next five years, as Unilver has recently ordered five million units. A recent development for Wonderbag happened in 2011 when Frog collaborated with Microsoft to create an app that monitors and promotes the use of the bag. The application tracks actual savings in CO2 emissions relative to the usage of individual bags, and allows users to be sent usage statistics and recipes to their mobile phones. By cleverly combining cloud computing with mobile technology to automate the carbon accounting, the Wonderbag initiative adheres to the ambitious carbon offset targets set by the United Nations, affording Wonderbag the ability to trade on the European Carbon Exchange, and thus breathing life into the programme’s power to spread more broadly. 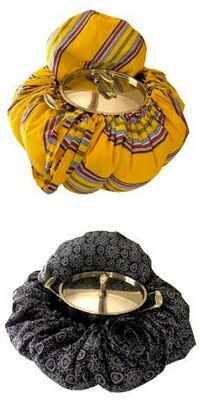 Find out more about this innovative cooking device at nb-wonderbag.com.